ENACTUS CUT CONTINUES TO ‘CUT ABOVE THE REST’! 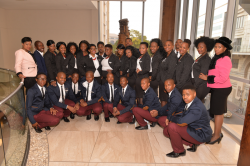 Twenty four Enactus Central University of Technology (CUT) team members participated in the Enactus National Competitions which took place on the 10 and 11 July 2014 at Sandton Convention Centre, Johannesburg. The teams’ efforts, dedication, and enthusiasm managed to secure them a position amongst the 8 finalists that had been successful to proceed to the 3rd phase of the challenge. Enactus is an international non-profit organization that brings together students, academics and business leaders who are committed to using the power of entrepreneurial actions to improve the quality of life and standard of living for people in need. Guided by academic advisors and business experts, Enactus student leaders apply business concepts to develop and implement community outreach projects. The experience not only transforms lives, it helps students develop the kind of talent and perspective that are essential to leadership in an ever-more complicated and challenging world. It also establishes student programs on campuses around the world. For their challenge, the team presented two projects. The first project is a Local Economic Development Project (LED) sponsored by Harmony, which aims to assist small businesses in Thabong Industrial area in Welkom to have a formal structure for conducting their businesses. The second project focused on the problems of needy university students, homeless children and how tapping on talents in community can alleviate some challenges faced by these groups of people. The team was awarded 3rd place in the ABSA Capacity Building through Effective Empowerment and Nedbank Tripple Bottom Line Sustainability respectively. In the Harmony Local Economic Development Special Competitions, the team out-shined all 26 universities that participated and came home with a trophy and a cheque of R15 000 as 1st prize! Congratulations to Enactus CUT on this great achievement! Accompanying the team was the faculty advisor, Prof. Crispen Chipunza, co-faculty Advisor, Ms Caroline Zwede, Student Development Officers, Ms Brenda Minny, Ms Lindiwe Diphagwe, Bloemfontein campus and Ms Maggie Hensen-Teise, Welkom Campus. The Deputy Vice-Chancellor: Academic and Research, Professor Henk de Jager and the Executive Director: Strategic Execution Unit, Mr Tembile Kulati also graced the event. 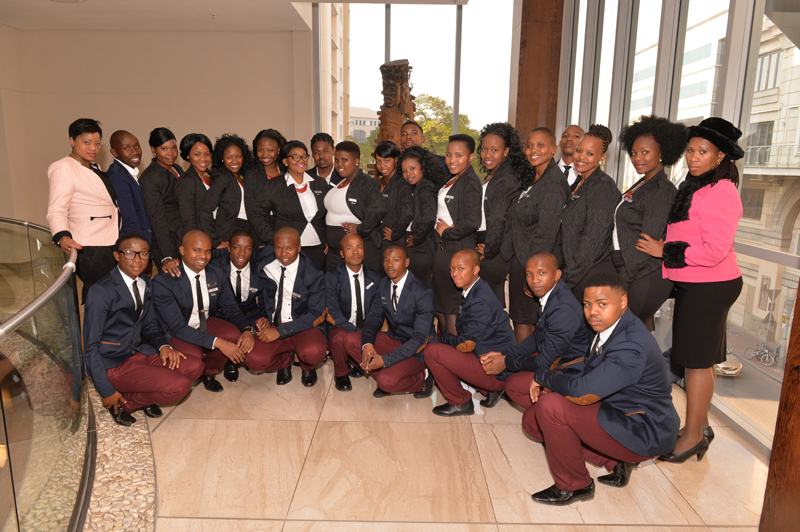 In the picture: Enactus CUT team celebrating their achievements at the Sandton Convention Centre.